Home > What is hypnotherapy? Hypnotherapy, is simply using hypnosis to help people. During hypnosis, subtle yet powerful suggestions are given to your unconscious mind. Your unconscious mind is all that part of your memory, wisdom and perception that you are unaware of at any one time. It contains all your potential and hidden power, it’s where your habits and self-image are stored, and where they can be changed! Hypnotherapy is the therapeutic use of the state of hypnosis. Or to put it another way it is the use of hypnosis as a therapeutic technique. A hypnotherapist is merely a professional clinician who uses hypnosis to help patients effect positive changes in their lives. Our lead hypnotherapist is based in Bournemouth and Dorset and also treats clients worldwide via telephone and videoconference consultations. Hypnotherapy differs from stage hypnosis in that it seeks to provide a long term and indeed permanent change to the habits, behaviours and feelings of the client by altering the belief system and self image whereas stage hypnosis makes only temporary changes to the subjects imagination. The treatment of chronic pain conditions such as rheumatoid arthritis. The reduction of the symptoms of dementia. Hypnotherapy may be helpful for certain symptoms of ADHD. From beating exam nerves to work related stress, weight loss, phobias, quitting smoking and much more, hypnotherapy will help you with any aspect of your life. Hypnotherapy can be used alone as in suggestion therapy, or combined with psychoanalysis for hypnoanalysis. Hypnosis can also be used in conjunction with Neuro-Linguistic Programming (NLP) and Cognitive Behavioural Psychotherapy (CBT). 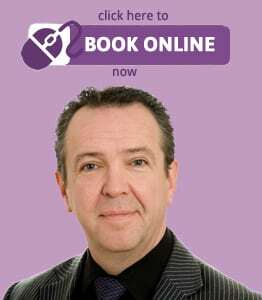 Your hypnotherapist in the Bournemouth and Dorset area will tailor your consultations to provide the perfect combination of treatment for your exact needs. If you are looking for a hypnotherapy in Bournemouth, or a hypnotherapist in Dorset, contact Dolphin Hypnotherapy now for friendly advice.